It was a treat last night to go to the Tango Room and discover that a live band would be playing. A platform was set up in the middle of the floor, between the two poles, for a keyboardist and guitarist. At first I thought it wouldn’t be much with just two players. I was definitely wrong. 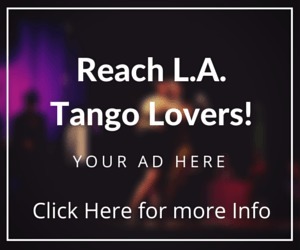 Tango BC, comprised of pianist Mariano Barreiro and guitarist Santigao Cursach, is an excellent tango duo whose musical performance is so full and expertly played, you hardly notice there is no bandenéon or other instrument accompanying them. 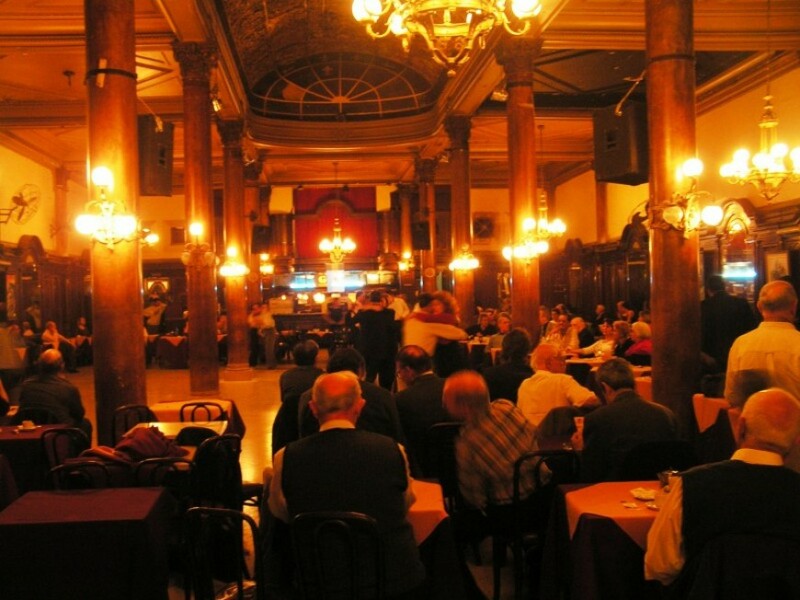 The two played an arrangement of classic tangos, milongas and waltzes during the evening. If one wasn’t dancing, it was simply a pleasure to listen. They added their unique arrangement and tempo to many of the pieces played, which was interesting to dance to. Some dancers find it difficult to dance to live music if it’s not performed close to the recordings with which they are familiar. Another treat was the impromptu performance by visiting Argentine tango teacher Cecilia Gonzalez, and now locally based Guillermo De Fazio. 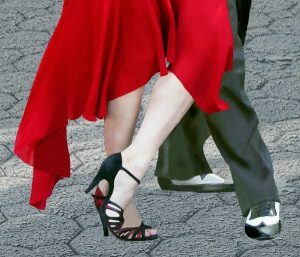 The performance was un-choreographed, and De Fazio’s dancing style is quick and demanding, which Gonzalez met with expert grace and artful beauty. 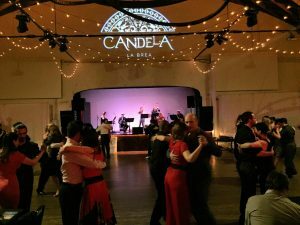 Tango Mio is not having it’s weekly milonga at it regular location, Candela, due to remodeling/construction at the restaurant/dance hall. 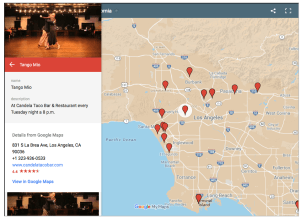 However, this Tuesday, Sept. 20, Linda Valentino will be hosting the milonga at Downtown Dance and Movement. There will also be a special performance by Julio Balmaceda and Virginia Vasconi.